An easy-to-miss cabling specification plays a key role in access control, yet it is commonly ignored. 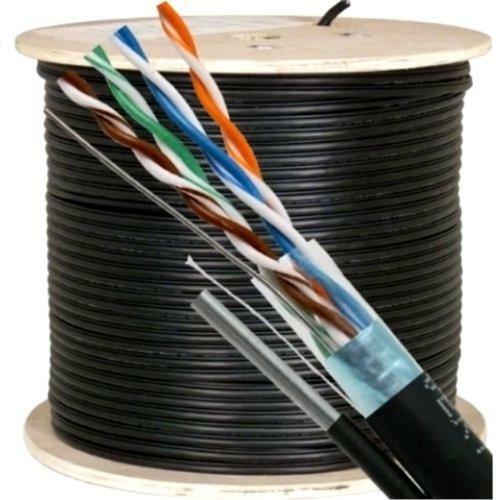 The drain wire offers protection for readers and controllers, ensuring proper cable performance. We examine the drain wire, the role it plays, and why it should not be ignored. The data exchange between reader and controller can be corrupted, subject to environmental interference from other sources or even building materials like steel studs and door frames. Given that reader wire typically is run to devices installed outside buildings, but connected to controllers deep inside them, the length of cable connecting them can attract and trap potentially degrading electrical/ EM interference that corrupts analog Wiegand or RS-485 signals between devices. Unless the conduit between reader and controller, or controller to head end is shielded, low-level problems are difficult to diagnose and troubles can result. ** ****-**-**** ******* ************* ***** * *** **** ** ****** control, *** ** ** ******** *******. *** ***** **** ****** protection *** ******* *** ***********, ******** ****** ***** ***********. ** ******* *** ***** ****, *** **** ** *****, *** why ** ****** *** ** *******. *** **** ******** ******* ****** *** ********** *** ** *********, subject ** ************* ************ **** ***** ******* ** **** ******** materials **** ***** ***** *** **** ******. ***** **** ****** **** ********* ** *** ** ******* ********* outside *********, *** ********* ** *********** **** ****** ****, *** length ** ***** ********** **** *** ******* *** **** *********** degrading **********/ ** ************ **** ******** ****** ******* ** **-*** signals ******* *******. ****** *** ******* ******* ****** *** **********, ** ********** ** head *** ** ********, ***-***** ******** *** ********* ** ******** and ******** *** ******. *** **** ****** **** ** *** ****** *** ********** ******* the ***** ****'* **********. *** ****** ******* ** **-*** ******, the ***** **** ** ********. ** ** **** ********* *** digital ****. ****'* ******* ****** ** **** ******** ** *** ************ **** can **** ******* **********. *******, ******* **** **** ******* *** function ** ******* ** **-*** ***** ** ****, ************ ************ often ******* ***** * ***** **** ***** **** ** ****. *** **** ******** ** ******* ********* *** *******, *** ** overall ******** ** **** *********, *** ******** *** ** *** drain *** ****** **** *********. *** ***** **** ** ** ********** ******-*** ********* **** ** bundled ** ******** *******. ** *** ***** *****, *** ***** wire ** ********* ** ** ********* ** ******** ** *** bundles. *********** *** ***** **** ******** * ********** ****** ** ****** cable *********, ******** *** **** ****** ******** ********** **** ***** Frequency ************ (***) *** ***** ****** *** ******** **** *** cable. *** ***** **** ** ********* ********* ** *********. ***********, *** **** ** '**********' ** * ***** ***, and ******** ***** **** *** *** ****** ********* **** **** a ******** **** ****** ** *********. ** **** *****, *** ***** ***** **** ******* * ***** wire *** *** ******* ** ********* *** ****** ******. *** even *** ***-******** *****, * ***** **** ***** *** ** specified ** ***** ** ****** *** *****. ***** ***** **** ** ********* ********** **** ******** ******** ** they *** *** ****** ******** ** ******** *******. **** ** one ****** ****** *******, ***** ***** *** *** ****** ******** (See *** ******:*** ** *** *** ************). ******* *** ********** ** *** ****** ***********, ***** **** ************** are ******** **********. ** * ******, **** ***** ********* ** specified, ** ********** ** ********* **********. *** ****** ******** ** a **** ****** ** ***** ****** * ****** **** *** shield *** ***** ******* *** ************ ****** ** ** ******** grounded. *** **** ****** ******** ***** **** ******* **** *** ***** wire ** "***** *** ** *** **** ** ********, ** are **** **** *********?" ** ***** ** ** *********, *** ***** ****** ** ******** at *** *** ** ***** ********* ******* ** '*****' **** from *** *********. *** **** ** ********** *********, ************ *** ******* *** ***** ************. *******, *** *** ************ **** *** *** *** ** ** tied ** ******. ******, **** ******* *** ******** **** ******** connectors ** *** ***** ** ** *** ******'* ******* *** instruct **** **** ** ** *********. **** ***** ** *******, ********* ***** **** **** * ****** cost. ********* ** *** ************ ****** *************, *** ***** ********* between **% ** **% *** **** ****** **********/** ***** **** products. *** ****, **** ********* **** ***** $** ** *** cabling *****. ***** *** *** **** ********, *** ********* ** ********** *** drain **** ** **** *** ****** ** ******* ****-**** ***** in ****** *************** *** ********** *******.